I am a makeup addict, and I own more brushes than one should. However a must for me is a good quality brush that really delievers. I have a range of brushes in my collection ranging from high end to dollar store levels. These by Xtava fall perfectly right in the middle. 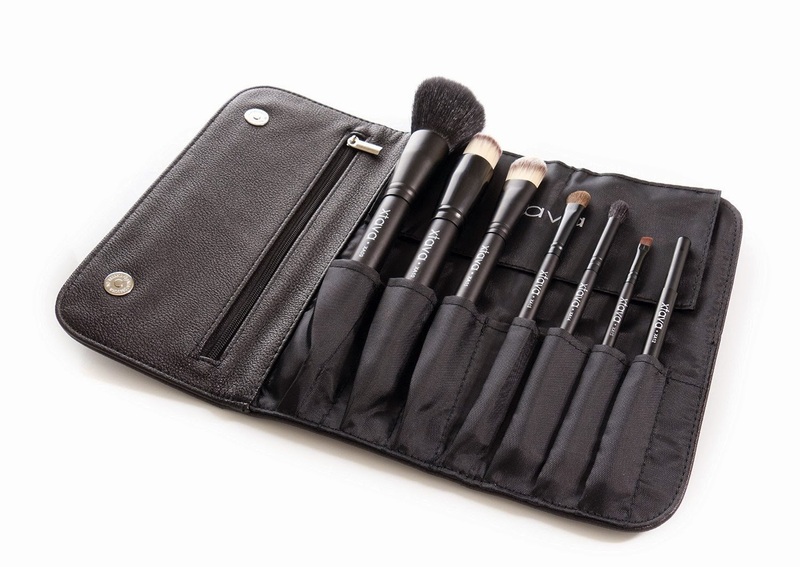 The brushes come in a great carrying case which allows travelling with them much easier. 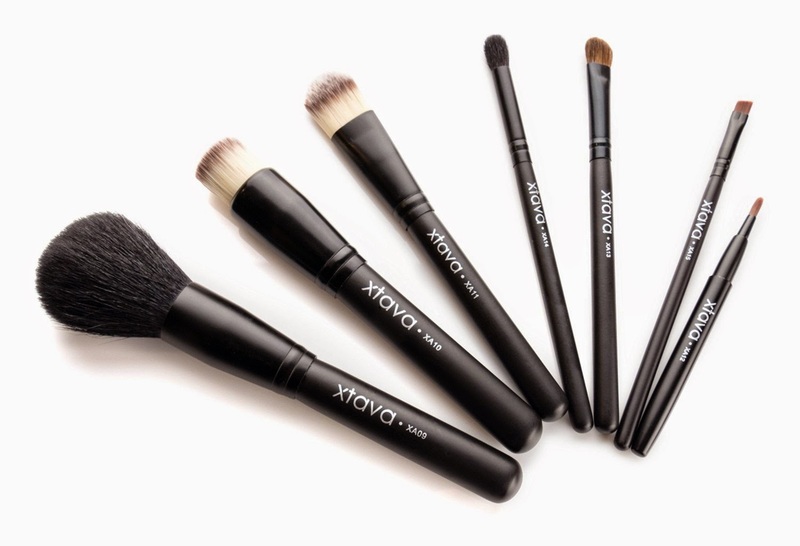 The 7 brushes included are exactly what everyone should have in their brush collection, so this is perfect if you are just starting off, or are a seasoned pro like myself. All of the brushes are soft to the touch, but firm enough to get the job done. The design of the brushes are very sleek and professional looking. I have been using them for over a week, and I love each brush. They all work fantastically, and do just what they should. Foundation brush easily blends and buffs the product into my skin and gives me a beautiful finish. The powder brush blends everything in wonderfully, the eyeshadow brushes apply a great amount of color, blend like a dream, and the liner brush gives me a crisp clean line each time! In addition to using these brushes, I have also cleaned them. I have had many brushes in the past hold up perfectly.... until they are washed. Some can come loose, and some can even shed fibers. I am very please to say that these did wonderfully being washed. I had very minimal shedding which is to be expected on first wash. On the second wash I had no shedding at all! The only thing for me was with the foundation brush, I had to trim up a few of the fibers myself, they must have been missed during manufacturing and were very very long. Once I cut them and made them uniform, it was perfect! Overall I really like this brush set. I find myself reaching for these brushes all the time. I would definitely recommend these to my family and friends!